Are your drains clogged in your North Kansas City home or business? Are your pipes draining slower than normal lately? It may be time to call the North Kansas City drain cleaning specialists at Kevin Ginnings Plumbing Service Inc.. Our trusted technicians have been unclogging drains in North Kansas City Missouri homes and businesses since 1985, and we'd be happy to serve you. Our plumbing contractors knowledgeable and efficient and we're confident you'll find our prices to be fair. Call Kevin Ginnings Plumbing Service Inc. today for a free estimate to unclog your drains in North Kansas City. Reasons for Clogged Drains in North Kansas City? 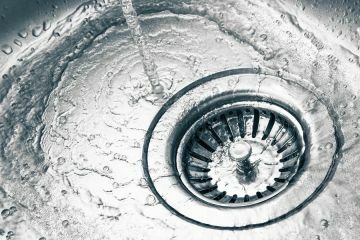 There are several reasons why your drains in North Kansas City become clogged. The first issue is that there are quite a few older homes and corporate buildings in the area and pipes do corrode over time. Your North Kansas City plumbing professional from Kevin Ginnings Plumbing Service Inc. will inspect those pipes to ensure that they are not impeding your drainage. If no issue is found with the pipe itself, then we've got to look at what's going down the pipe. Pipes are made to drain water. Any other items are could potentially clog the drain. Kitchen sink pipes and drains often endure a lot of abuse from things like cooking grease and food remains. Over time, without regular maintenance, kitchen sinks can become clogged with these items. Bathroom drains are exposed to a multitude of personal care products and of course, human hair. The combination of soap residue and accumulation of hair can be particularly effective in clogging your bathroom drains in North Kansas City! Why Call Kevin Ginnings Plumbing Service Inc. To Unclog Your North Kansas City Drain?